The details are taken from our nearest (reliable) weather station so it should give you a good idea of the ‘real feel’ here in the Fethiye area at the moment. Bear in mind, though, that weather systems around here can vary quite a lot, so it could easily be warmer in Ölüdeniz than it is in Çalış (or vice versa) and it could be chucking it down in Kayaköy whilst the sun is out in the centre of Fethiye. For historic weather in Fethiye, Turkey you can check the previous days and months via the Weather Report on our Fethiye events calendar. And you can look further down this page for links to our blogpost archives about Fethiye weather over the different months of the year. We get lots of questions about what the weather is like in Fethiye at different times of the year – well, let’s face it, if you’re coming to this part of Turkey for a short holiday, you want to know which type of clothes to pack and what might be in store for you when you get here. We are very much stereotypical Brits in that we love a good chat about the weather (actually, this subject is something Brits and Turks very much have in common) and we do mention this favourite topic quite a lot in our blogposts about our daily life. Obviously, the southwest Turkey summer months are hot, hot, hot – but as soon as you reach the shoulder months such as April, May, September and October, there can be changeable conditions. And, as for winter conditions in Fethiye, well it’s a case of take your pick out of just about any situation you can think of. Pack for all eventualities! So, if you are coming to this area and want a general indication of what sort of prospects you might be in for, then click the relevant links below to read blogposts which mention the weather in Fethiye throughout different months of the year. New posts will be added all the time. If we mention the weather, the post will appear in the relevant month. Now we’re into the second half of the year. 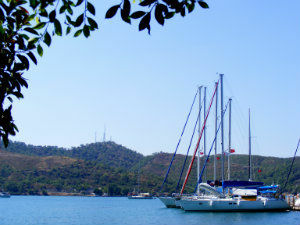 July, August and September shouldn’t see you moving too far away from any of the Fethiye beaches or your swimming pool. October and November – and sometimes December, too – usually give you the perfect weather for trekking and exploring around Fethiye. 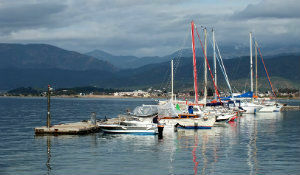 For an extended forecast, such as a 10 day weather forecast for Fethiye, visit the Weather Atlas website.